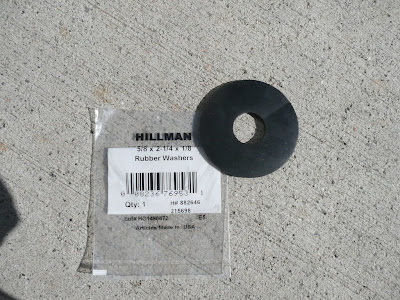 These Hillman brand rubber washers are available at Lowe's and other big box stores in the aisle that has all the nuts and bolts. Typically under the "specialty" section, you will find many in these individual packets. They are about 50 cents each, so not cheap, but considering they are one barrier for water ingress on your nut and bolted take-apart kayak, they should be bought and stored in the kayak for long trips, and at least in your vehicle for short trips. I will photograph my entire specialty kit for my sectional kayaks and post soon. But to start, grab a handful of rubber washers as the old ones can tear, stick and get brittle.